So hey everyone I' m in immediate need of help. 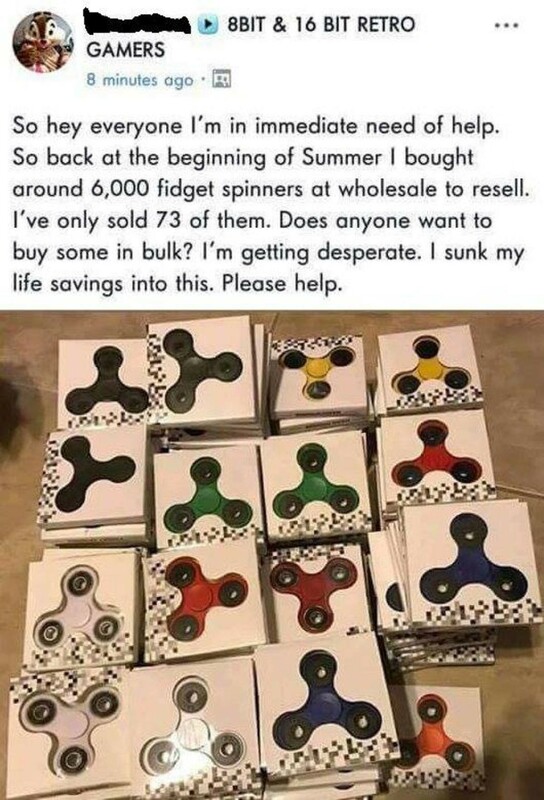 around 6, 000 fidget spinners at wholesale to resell. life savings into this. Please help.